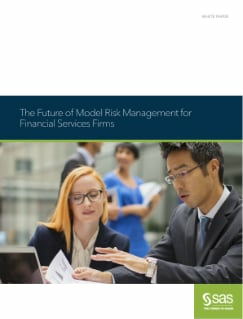 Banks have been using credit scoring models for decades, but since the financial crisis of 2008, regulators have formalized the discipline of model risk management (MRM), driving the need for more rigorous, enterprise-level model information management. Regulators now want to evaluate bank models to access their trustworthiness – not blindly accept the numbers they generate. This paper explores how next-generation MRM is integral to successfully running a financial services business – both for compliance and decision making purposes. Learn why decision makers today are judged not just on outcomes, but on the processes and decision support tools they use to realize them. And see why it’s absolutely critical that your firm be able to manage ever-growing numbers of models – what’s needed to do that effectively.